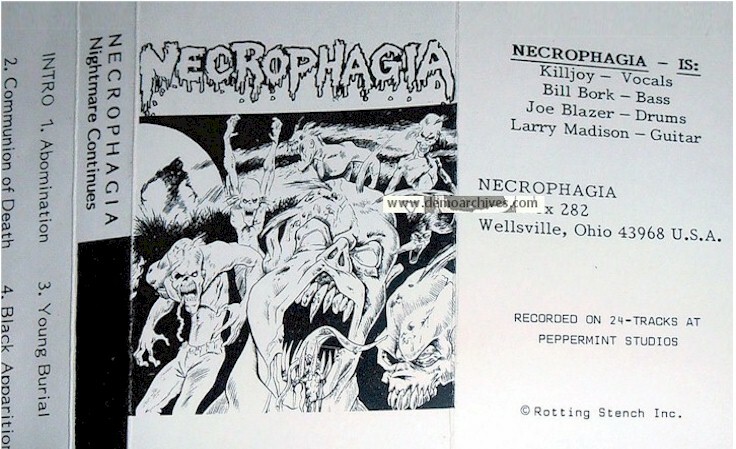 Renowned "Audio Horror" styled proto-Death Metal act, Wellsville, Ohio's NECROPHAGIA bowed in with the November 1984 four song demo cassette. The group, singer Killjoy (a.k.a. 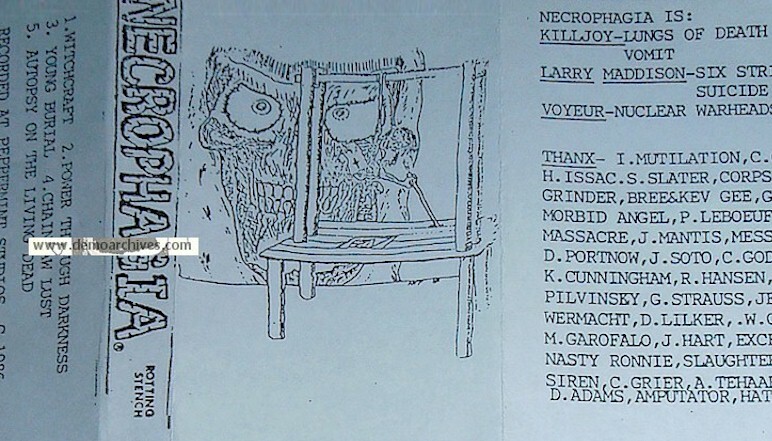 Frank Pucci), guitarist Larry Madison, bass player Bill James and drummer Joe Blazer, had been formulated a year earlier, claiming joint rights to birthing the Death Metal formula along with their close allies and enthusiastic tape trading partners, Florida's DEATH. Follow ups included 1985's 'Autopsy On The Living Dead' and a brace of 1986 demo 'Nightmare continues' and 'Power Through Darkness'. 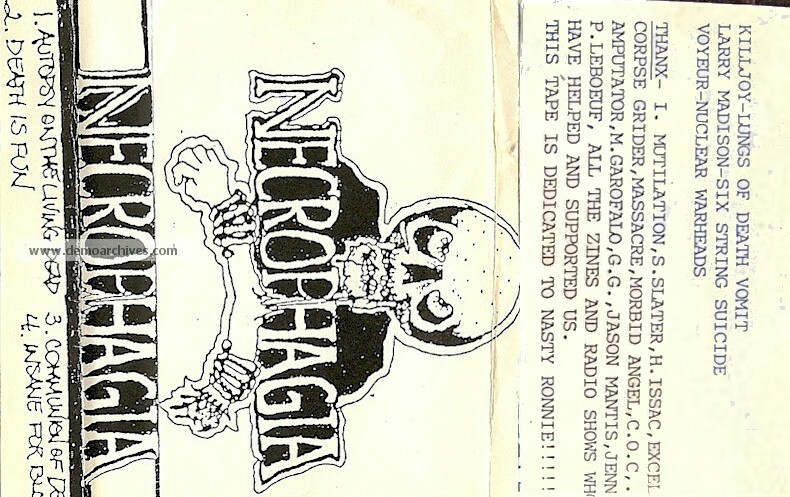 In 1987 the group signed to Californian label New Renaissance Records, operated by HELLION singer Ann Boleyn, and 'Season Of The Dead' followed swiftly. The record, a truly sinister collection of malevolent curses uttered by Killjoy atop labored, drudging Metal satiated in reverb, pulled in exemplary reviews. 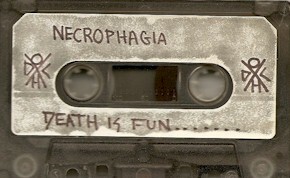 Also known as the Death is Fun demo. Xeroxed two panel covers. No lyrics. Tapes were regular tapes w/ stickers on the shell. Xeroxed three panel covers. No lyrics. 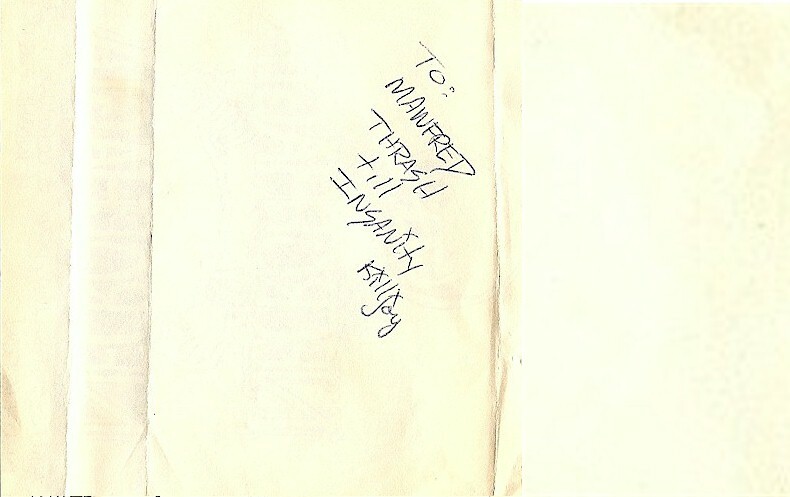 Studio tapes. Need more info. Printed covers. No lyrics. Studio tapes.